One dial allows complete timer control functionality. 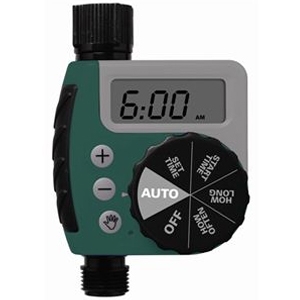 Cycles easily from set clock, set watering time, how often, how long, then run program. A rain delay is built into the run program function. A manual button allows program interruption.